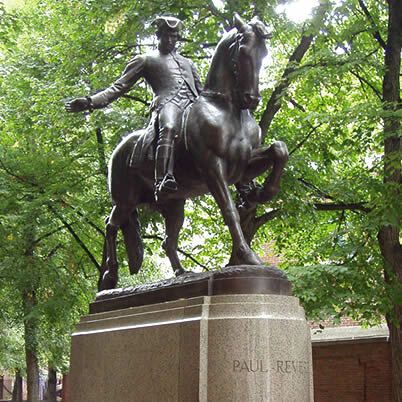 Paul Revere is among the patriots who are remembered on Patriot’s Day. The American silversmith is known for spreading the word of the Boston Tea Party to New York and Philadelphia, and for warning the Lexington Minutemen about the British invasion in 1775. The story of his “midnight” ride to Lexington to discuss action plans against the British has been poeticized. 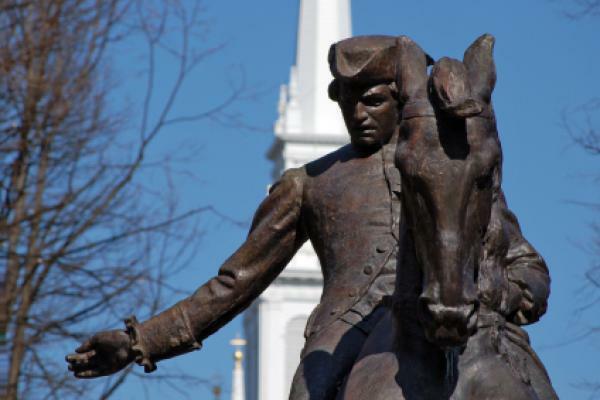 It was his ride on April 18, 1775, that etched his name into history, especially after it was commemorated later by the poet Henry Wadsworth Longfellow. At 10 that night Revere rode to Lexington to warn John Hancock and Samuel Adams of the approaching British. The Battle at Lexington and then Concord ensued, and with it, the American Revolution. 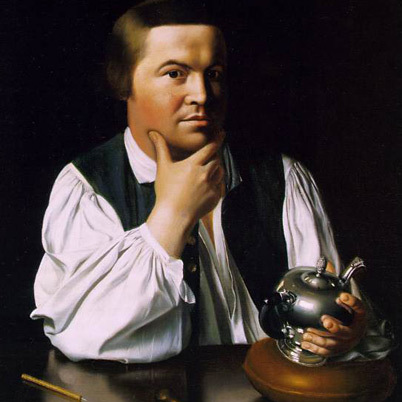 During the war, Revere donned many different hats. He manufactured gunpowder and cannon for the Continental Army, printed the country’s first money, and commanded Castle William at Boston Harbor. This entry was posted in history, Massachusetts, photography, travel and tagged Concord, History, Holidays, Massachusetts, Shopping, travel. Bookmark the permalink.